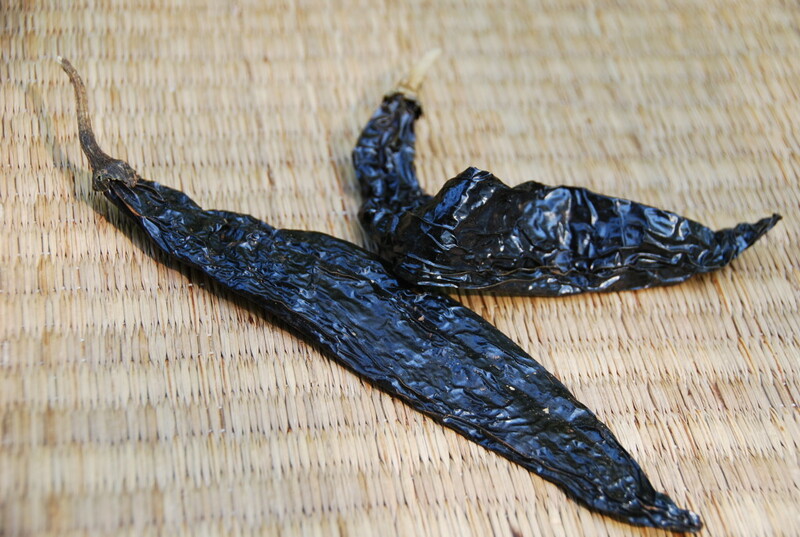 The Pasilla Chile is the dried Chilaca Chile. 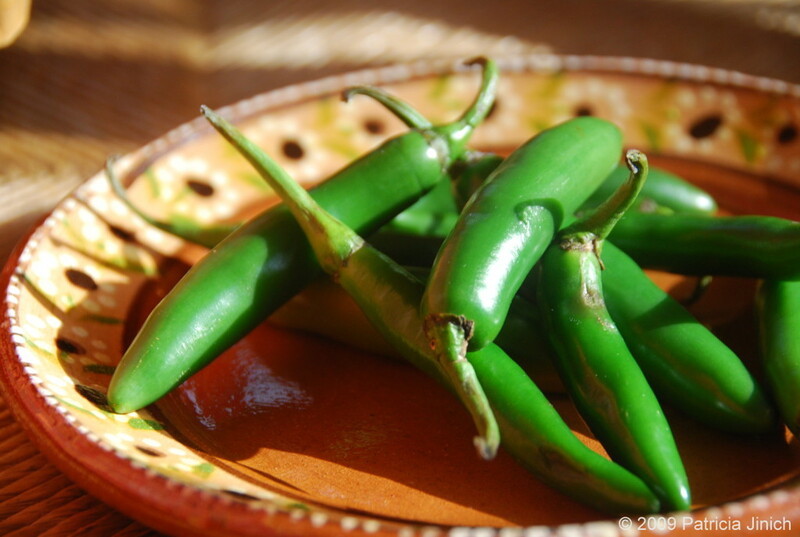 It is also by far the most harvested and used chile in the state of Michoacan. In some towns you can see some patios covered with mats where hundreds and thousands of Chilacas are being dried in the sun to be turned into Pasillas. 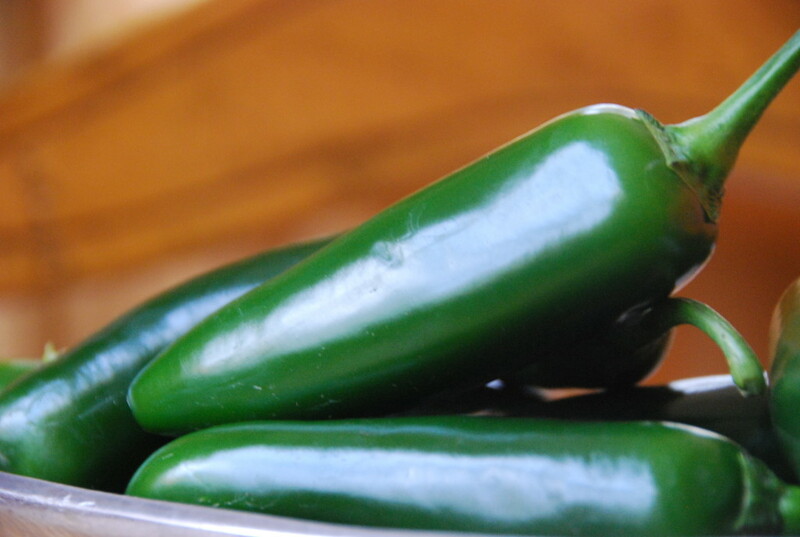 Mexican cooking authority Diana Kennedy has said that the Serrano chile has the shape of a bullet. One could say that it tastes like one too! 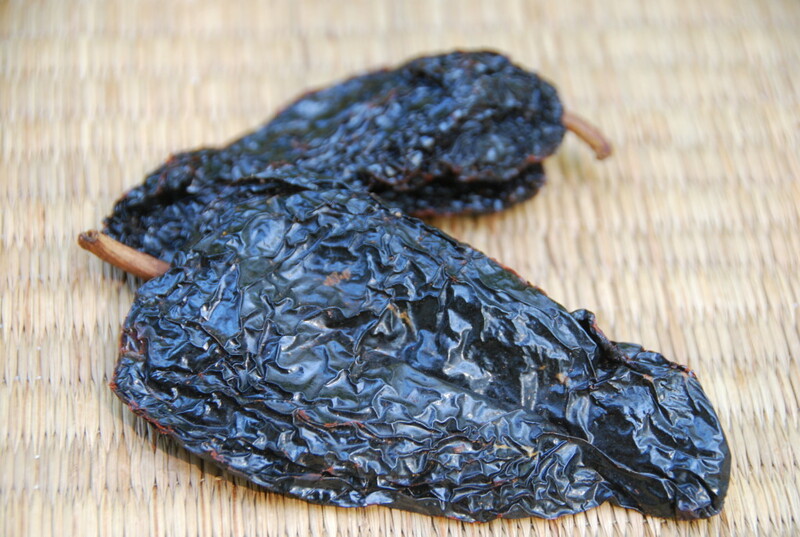 Serranos are spicy. 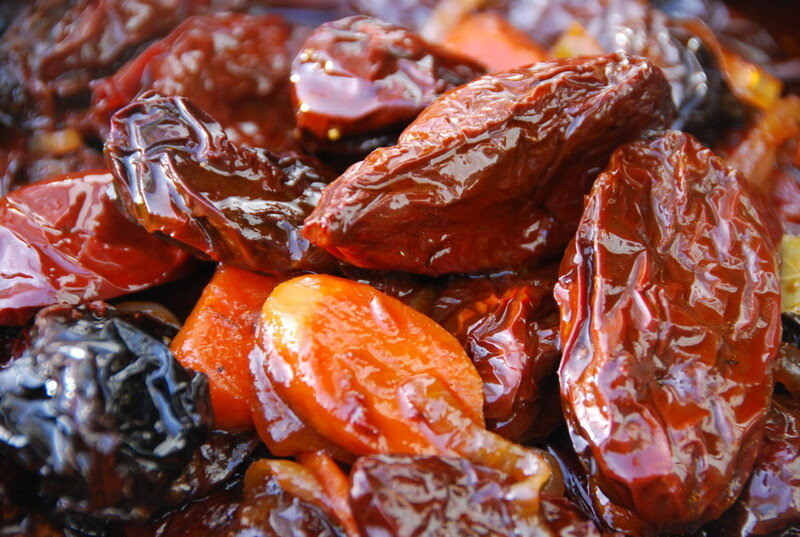 However, as with most chiles, you can pump down the heat by removing the seeds and veins.